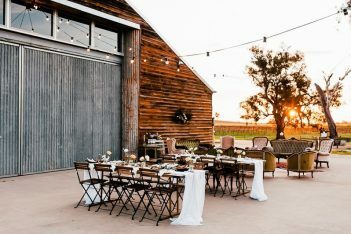 The Shaw Family have created a unique experience at their Winery and Cellar Door on the slopes of Mount Canobolas in Orange. 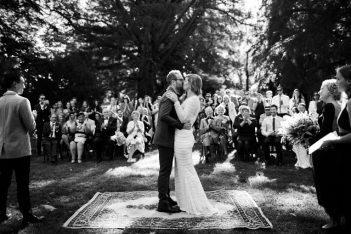 With exquisite gardens established around our 1870’s bluestone barn and Cellar Door facility, options are plentiful for social, corporate, family celebrations and weddings. We have designed an extensive menu of fantastic locally sourced produce, with packages and culinary options designed to suit the most sophisticated palate. Partnered with the impressive range of cool climate Philip Shaw Wines along with ciders and beers, all farmed and brewed locally. Our dedicated team will consult closely in planning your event to ensure your concept is made into reality. Philip Shaw has been making wine since 1959, at the ripe age of 12. At some of the most prestigious wineries across Australia (Lindemans, Rosemount, Southcorp) and consulting internationally (China, USA, Chile). Philip established his own vineyard, Koomooloo, in Orange in 1988/89 after years of searching Australia for the best site to make exceptional wines with flavour and finesse. The opportunity to pioneer a region also appealed. He then passed on the legacy to his sons, Daniel and Damian, who continue to deliver world class wines from our Koomooloo Vineyard. Damian has spent a large part of his career developing sales and marketing for some of Australia’s most iconic brands, and aims to forge the same iconic status for the Orange wine region. At the age of 12, like his father, Daniel did his first vintage at Rosemount to pay for some travelling. He then studied a degree in Business and then Winemaking. Working as a winemaker in New Zealand and California respectively for over a decade before returning to Orange to pursue his passion and progress the winemaking from where Philip left it.